If the receding hairlines of your relatives make you nervous about losing your own hair, you’re certainly not alone. In fact, hereditary hair loss is the most common form of hair loss, affecting almost half of all men and one quarter of all women. There are a lot of myths surrounding hereditary hair loss, so we want to explain the causes and treatments for this condition. Keep reading to learn more about the science behind hereditary hair loss and what you can do if you have it. 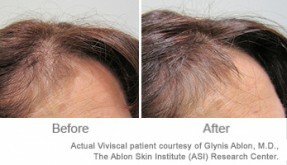 Hereditary or genetic hair loss is very common. 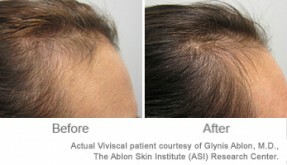 It’s more often called male or female pattern baldness. Hereditary hair loss is more common in men, and almost half of men will experience this issue to some extent by the age of 50. 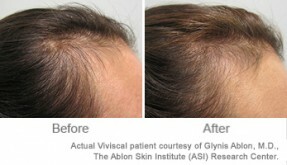 However, women can also suffer from hereditary hair loss. For every five men with the condition, three women have it also. 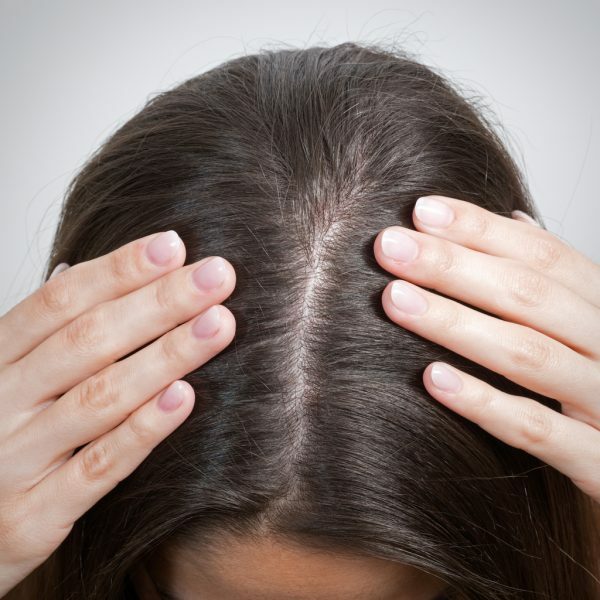 Hereditary hair loss is caused by a combination of hormones and genetics. During hereditary hair loss, a male hormone called DHT miniaturizes the hair follicles until they stop producing hair. 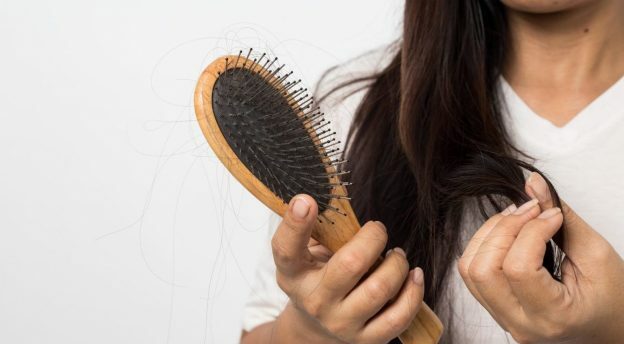 While scientists know that this process is related to an individual’s genetics, they’re not sure of the exact mechanism behind hereditary hair loss. It’s thought that people with hereditary hair loss either produce more DHT, or they have hair follicles that are more sensitive to the hormone. Further research in the future will help to answer these questions and improve treatments for hereditary hair loss. For men, hereditary hair loss occurs in a pattern beginning at the temples and crown. 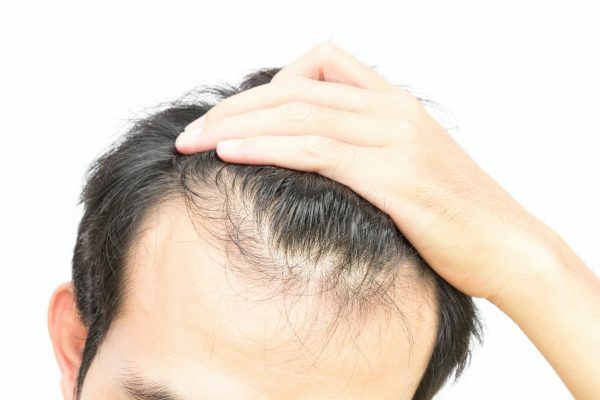 This form of thinning most commonly begins at age 30, but it can start any time after puberty. Ninety-nine percent of hair loss in men is hereditary hair loss. 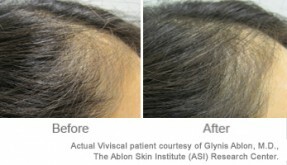 For women, hereditary hair loss looks a little different. Women with genetic hair loss may experience diffuse thinning all over the scalp and a widening part, but maintain their frontal hairline. Hereditary hair loss in women usually begins around age 30 and generally becomes noticeable within about 10 years, by the age of 40. You may have heard that the baldness gene comes from maternal DNA, but this is just a myth. In fact, the genes that influence hereditary hair loss can come from both your mother’s and your father’s sides of the family tree. The more relatives you have on either side with hereditary hair loss, the more likely that you will get it yourself. However, you can also carry the genes for hereditary hair loss but never lose your hair. Unfortunately, there’s no permanent cure for hereditary hair loss. While you can’t change your genes, you can delay the onset of hair loss with certain treatments and techniques. The earlier you begin treatment, the better your outcome will be. 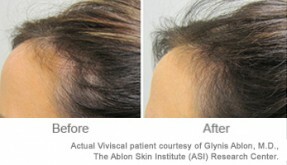 First things first: if you’re noticing that you’re losing your hair, you should make an appointment to see your doctor. Your doctor will confirm whether you have hereditary hair loss, or whether there’s another cause for your hair loss. Your doctor may also recommend an over-the-counter medication like finasteride or minoxidil. However, these medications do not work for everyone, require committing to long-term use and they can have serious side effects. 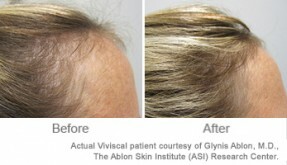 Thinning from over-styling damage and breakage will make hair loss even more noticeable. So treat hair with extra TLC to keep it strong. Avoid tight hairstyles like braids, which can put too much strain on hair follicles. Minimize heat tools, which can dry out strands and cause them to snap off. Be extra gentle when combing or brushing your hair, and wash it with products designed to nourish thin hair like Viviscal Gorgeous Growth Densifying Shampoo & Conditioner. If your hereditary hair loss has progressed to the point where you have noticeable thinning, Toppik™ Hair Building Fibers are the perfect solution. Toppik Fibers cling to existing hair to cover up scalp show-through, and they last until the next time you shampoo your hair so you can feel confident with minimal touch-ups. Remember: you can’t change your genes, but you can help minimize the effects of hereditary hair loss by taking care of your hair follicles, inside and out.